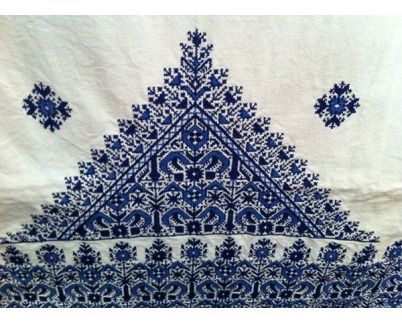 With help of small cord of linen; cotton, silk, or wool, embroidery is created on flat patterns on various tissues. A craftswoman tends the fabric on a small embroidery machine (Mremma) and reproduces the pattern with a layer of a transparent or white carbon. They use needles or hooks to execute various points. There are two kinds of embroidery (Terz), Fez embroidery and Rabat embroidery, whose have a precious value for Moroccan women. This value mix authenticity and lifestyle, for both, useful and decorative in Moroccan homes such as table cloths, bed linen, the traditional clothes (Kmiss, Tehtia, trousers ...), Placemats and Trays of tea.